The Truth about Selenium Supplementation in Regard to Thyroid Function - Doctor Hermann M.D.,P.A. 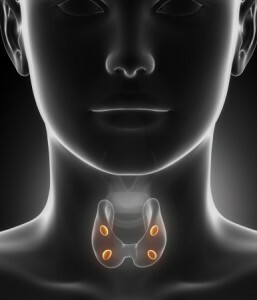 There are benefits in taking Selenium supplements to help with thyroid function. Many patients take a Selenium supplement with their thyroid meds to assist the T4 to T3 conversion as well as protect against thyroid goiters. Recent studies have shown that Selenium supplementation can improve serum levels of T4, Free T4, Reverse T3, TPO and TgAb antibodies. Selenium is responsible for regulatory functions within the thyroid and supports the immune system. Ninety percent of the body’s immune system resides in the small intestine where most autoimmune disorders are seated. Furthermore, the majority of selenium is absorbed in the small intestine so those with autoimmune issues are at a higher risk of Selenium deficiency. Selenium deficiency can lead to exacerbation of Graves, Hypothyroidism, Hashimoto’s and other thyroid disorders. A good starting therapeutic dose of Selenium is 200 micrograms (mcg) and not to exceed 400mcg daily to have a positive effect on both the thyroid and the immune system. It is important to note in those with normal selenium levels, selenium supplementation will still illicit an enhanced immune and thyroid response. As with most supplements, selenium can have toxic effects when used in excess. Symptoms of selenium toxicity include diarrhea, hair loss, brittle nails and other gastro-intestinal upset. Selenium is also found in such foods as shellfish, crab, kidney, liver, pasta, grains, bread, flour and Brazil nuts. It is not uncommon for those with autoimmune thyroiditis to be Selenium deficient due to their diets or other autoimmune conditions that they may have such as Celiac’s, Crohn’s or Ulcerative Colitis. Many people with autoimmune disorders often avoid gluten as it intensifies the immune response. Unfortunately, most foods containing gluten are high in selenium. Selenium supplementation is not restricted to those with selenium deficiency, thyroid disorders or the immune-compromised. Selenium is a necessary component for a healthy reproductive system aiding in maintaining normal levels of both testosterone and estrogen. In addition, Selenium helps in lowering cholesterol by aiding in removal of lipids and phospholipids. A low Selenium level can play a role in depression and mood disorders. Also, Selenium has been proven to be a powerful anti-carcinogenic supplement inhibiting cancer cells and reducing the risk of several cancers including prostate, breast, and uterine cancers. Careful and proper supplementation with Selenium is a wise decision for those who suffer from thyroid and autoimmune disorders, as it works to correct imbalances in thyroid functioning and immune response. Caution should be taken prior to supplementing with Selenium or Iodine because if an iodine deficiency is present and attempts to supplement with selenium occur, the selenium will magnify the iodine deficiency causing it to worsen. The reverse is true. If there is a selenium deficiency and attempts are made to supplement with iodine, the iodine will worsen the selenium deficiency. In fact, anytime one is high and the other is low, symptoms may occur or worsen. If there is a deficiency, both must be supplemented or kept low. Please call Hermann Wellness to schedule an appointment with one of our providers to discuss how supplements like Selenium and others can help treat your chronic illnesses. Could a Probiotic Solve Your Health Woes?